The men were heard in the video saying that they were assaulting the vendors because they were from Kashmir. 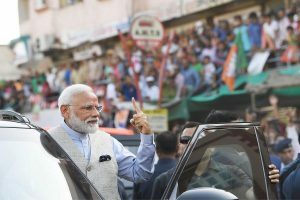 In yet another incident of violence, two Kashmiri street vendors were attacked by a group of belonging to a fringe right-wing group on a busy road in Uttar Pradesh’s capital Lucknow on Wednesday. The incident took place at around 5 pm yesterday in Daliganj in central Lucknow. 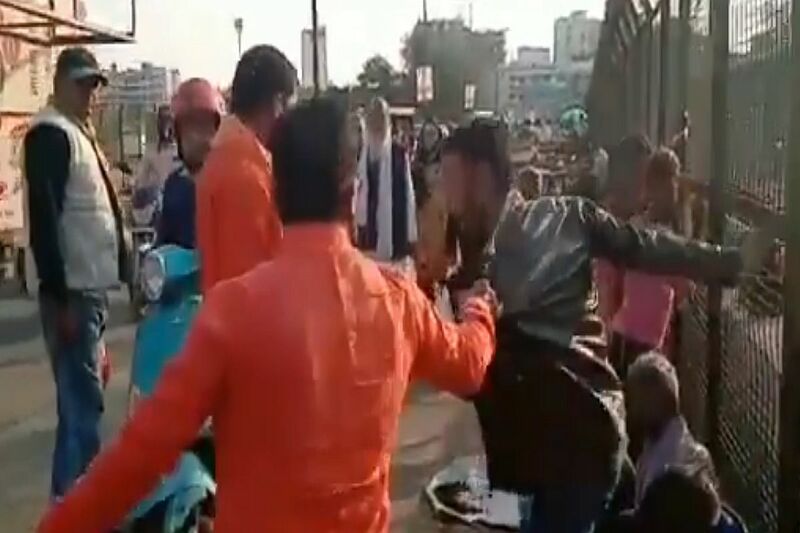 In a video shot by one of the accused, the men clad in saffron shirts were seen with sticks in their hands and thrashing the vendors. The men were heard saying that they were assaulting the vendors because they were from Kashmir. Several local residents of Lucknow intervened and asked the men to stop further assault of the two vendors. According to the police, an FIR has been registered against the unidentified men and one Bajrang Sonkar has been arrested in connection with the case. Sonkar had on Thursday morning, in a Facebook post had extended invitations to fight for Hindus and Shiv Sena. However, his post received heavy criticism as many called him an anti-national. National Conference leader Omar Abdullah took to Twitter to condemn the incident and wrote, “Dear PM @narendramodi Sahib, this is what you had spoken against & yet it continues unabated. This is the state governed by your handpicked Chief Minister. Can we expect action in this case or do we file your concern & assurances as a jumla, meant to placate but nothing more? (sic)”. “Nothing will do more damage to the idea of India in J&K than videos like these. Keep thrashing Kashmiris like this on the streets at the hands of RSS/Bajrang Dal goons & then try to sell the idea of “atoot ang”, it simply wont fly (sic),” he further tweeted. Several other social media users too expressed anger over the incident. On February 23, the Supreme Court had asked the Centre and 10 states to ensure the safety of Kashmiris against violence and social boycott in the aftermath of the Pulwama attack. The top court directed the Chief Secretaries and police chiefs of states and Union Territories to take prompt action to prevent threats, assaults, intimidation and boycott of Kashmiris, especially students.